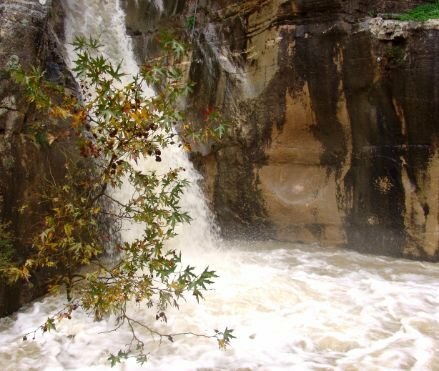 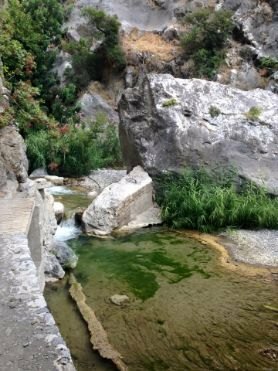 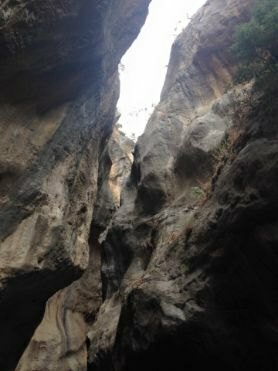 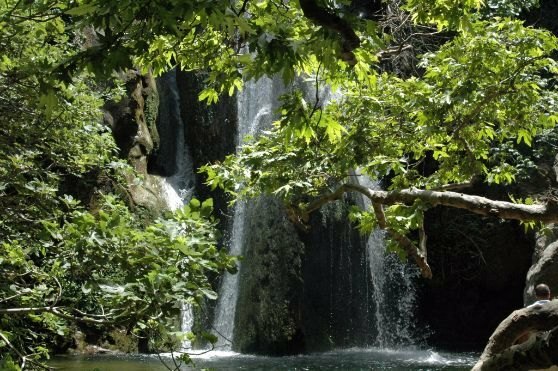 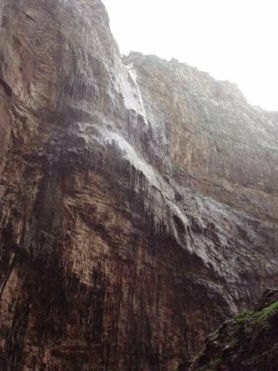 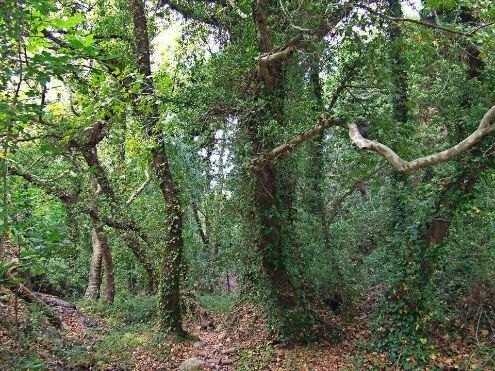 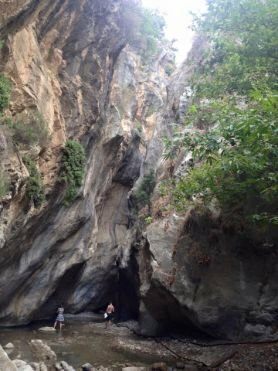 Home Blog Imposing Canyos of Crete..
Crete hosts the largest number of gorges in Greece,more than 400,with high waterfalls,rivers,Caves,Large Trees and wildlife. 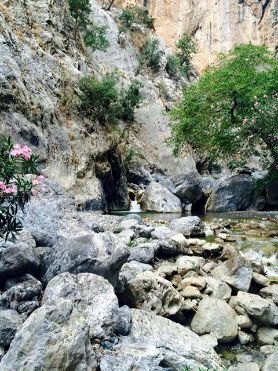 Because in Crete there is always something more to explore! 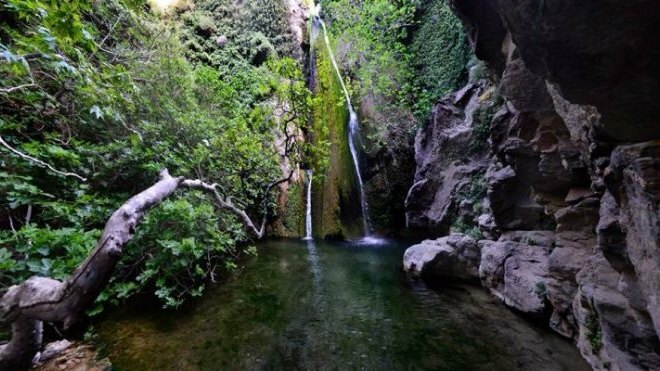 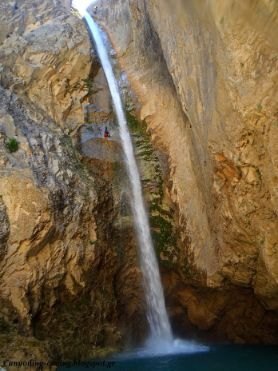 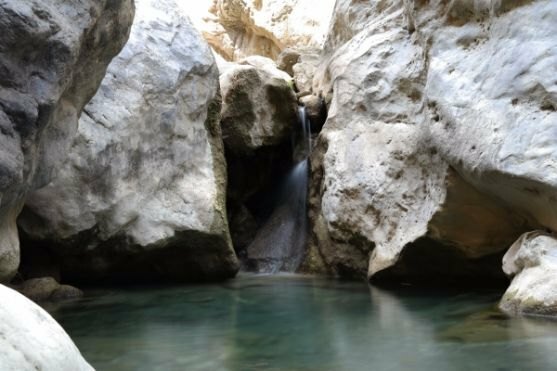 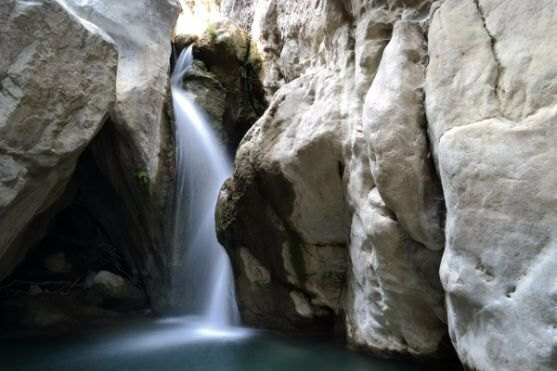 Rixtis is an amazing gorge located in Lasithi Prefecture. 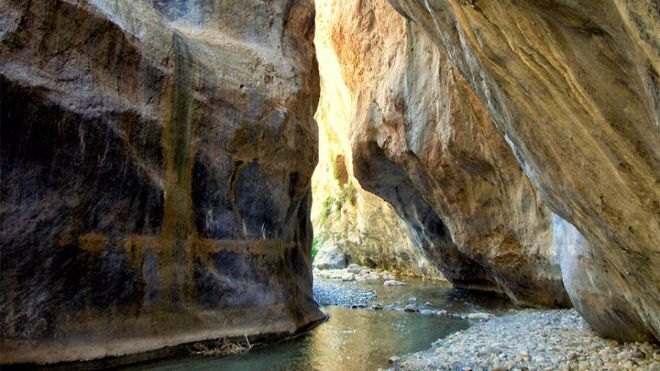 The total length of the gorge is about 3km and it takes around 3 to 4 hours to cross it. 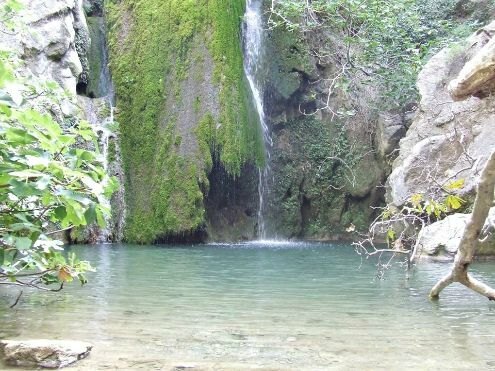 In the gorge even in the summer the beautiful 20 meters waterfall and the a smal pond formed below it is full of water. 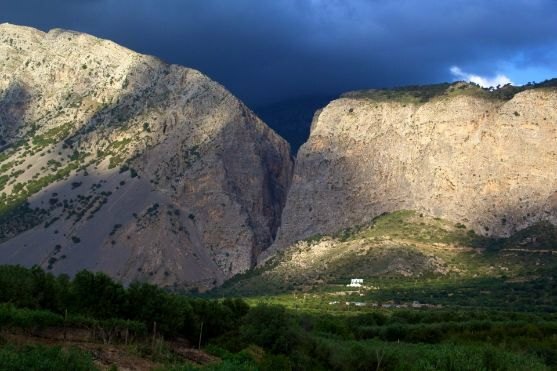 Right at the end of it there is the beach of Rixtis that it is full of trees and aromas from the herbs around. 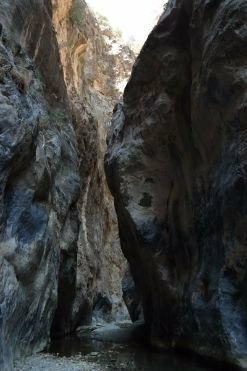 Sarakina gorge Located in Ierapetra . 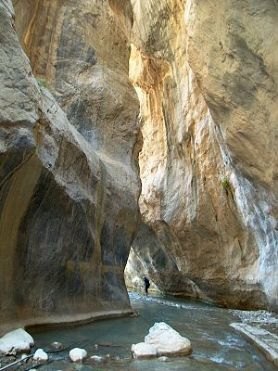 A very impresive gorge with walls reach the height of 150m and length 1,5km. 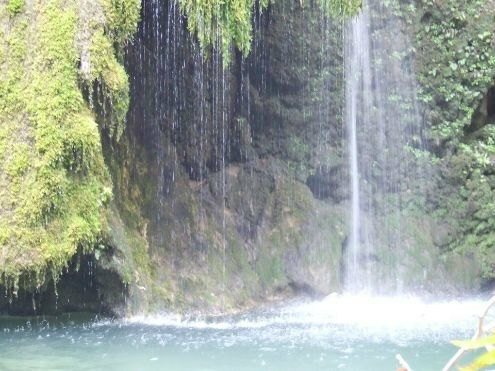 What makes it special is the rich vegetation that in combination with water ponds and few climbing points can be ideal for pleasant walk with the kids. 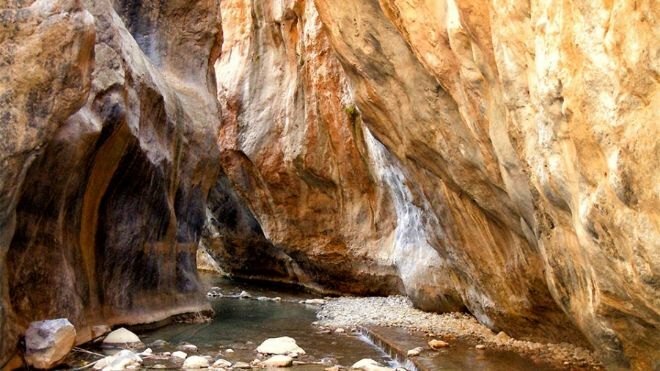 According to legend Sarantapihos, a giant (son of Zeus) stopped to drink water from a river. 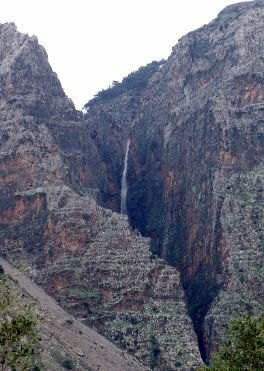 His long beard slashed the mountain in two parts and created the canyon. 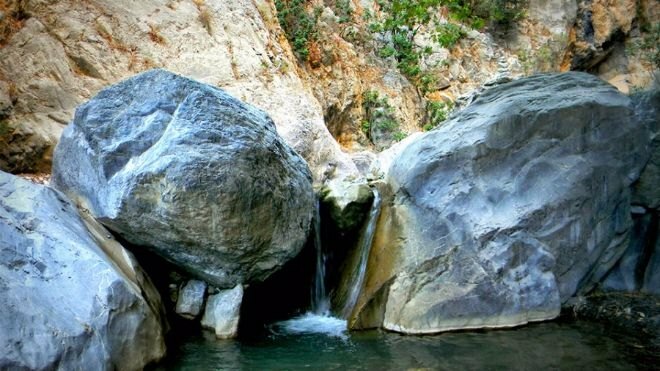 ''Ha'' is a very dominant gorge near Ierapetra. 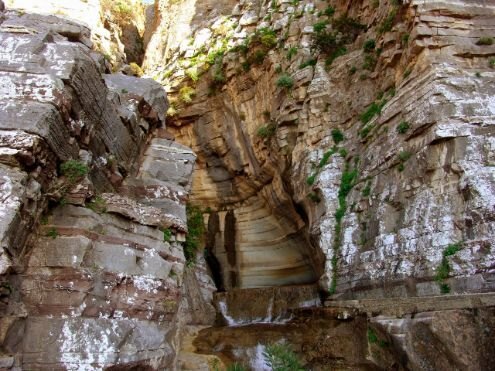 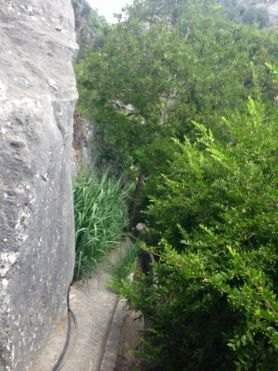 It might be only 1km length but this gorge is one of the hardest to cross.With its width in many parts being only 30cm and huge stone walls 200m to 400m high can be crossed only be traind canyoners using special equipment. 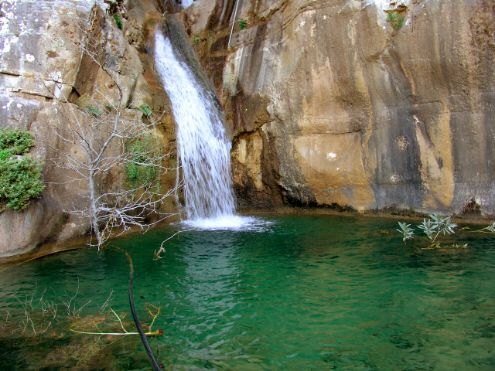 This canyon can take your breath away with its impressively 215m height Waterfall,with the beautiful colors on the rocks,ponds and lakes. 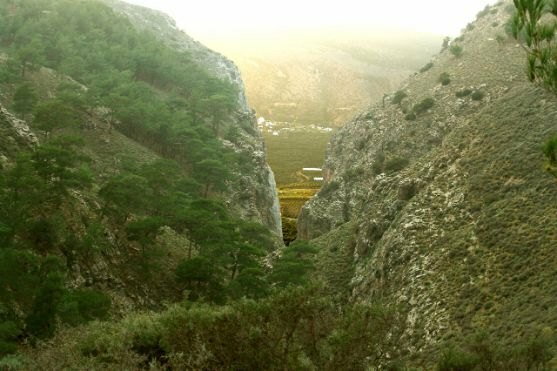 According to the myth an old woman captured by Saracens,who wanted to conquer the castle of Agios Stefanos,asked to lead them to the secret entrance of the castle.Followed by the Saracens the old woman lead them into the pitch black canyon where she drift them to the end of a slippery cliff where by throwing her self in vacuum,swept away the Saracens too. 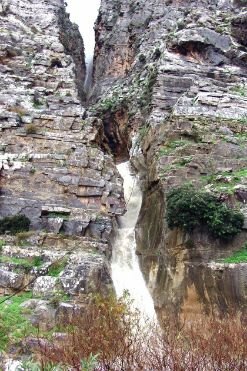 It is said that during her fall everybody could hear her laughter ''Ha Ha Ha'' Since then, the canyon was named Ha. 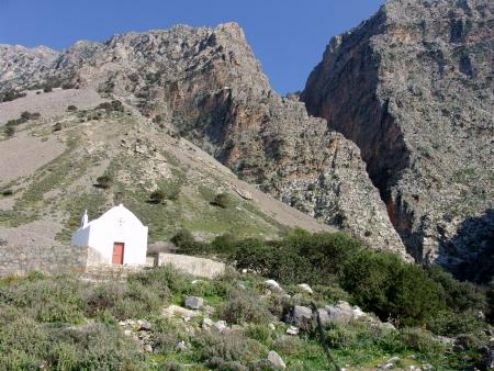 The catholicon of venetian Monastery of San Francesco accomodate the Archaeological Museum of Chania. 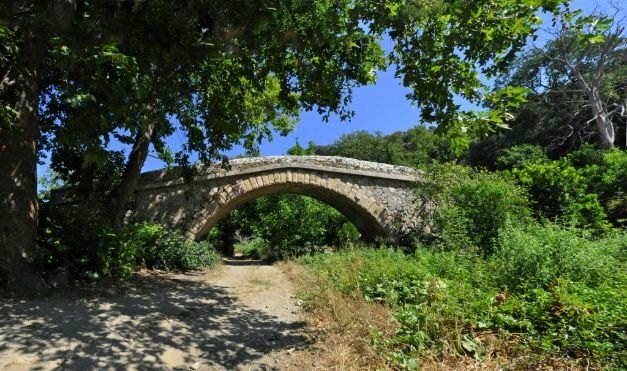 As Archaeological Museum was opened in 1963. 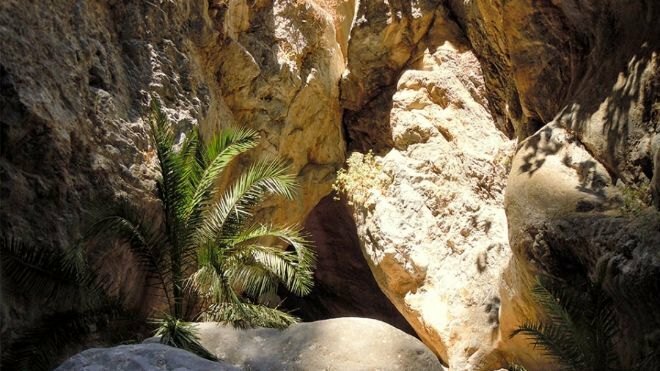 The paleontological collection of the Municipality of Rethymnon, which consists of findings from excavations from all over the prefecture by German scientist Siegfired Kuss (University of Freiburg), will form the basis of the exhibition. 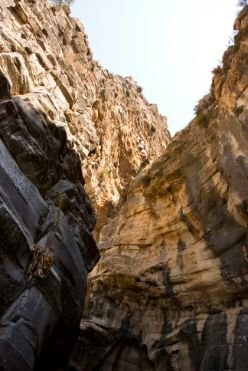 The Goulandris foundation has been looking after this collection in collaboration with the University of Athens (Historical Geology and Palaeontology Faculty).